Whether you loved or hated Final Fantasy XIII, anyone who cares about its sequel wants to know how it compares: is it better than FFXIII? How different is it? Well, Final Fantasy XIII-2 definitely improves upon XIII… in some ways. As with XIII, your enjoyment of XIII-2 will greatly boil down to personal taste, but speaking generally, XIII-2 is markedly catered toward longtime Final Fantasy fans compared to its vastly divergent (and therefore highly divisive) predecessor. 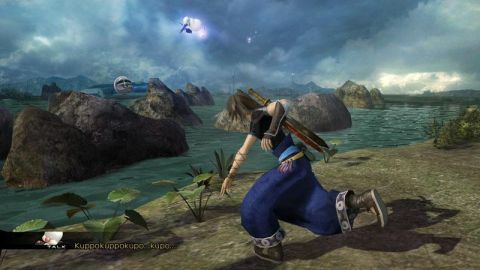 The return of the moogle is symbolic of this, but its classic tendencies are manifested throughout the game, most notably through its increased focus on exploration and discovery. These changes aren't without their tradeoffs, but if you're a longtime Final Fantasy fan, you will probably prefer XIII-2 over XIII. Most importantly, the claustrophobia-inducing linearity of FFXIII has been cleverly alleviated through a branching world map that allows you to travel around Pulse and Cocoon across both time and space. The Historia Crux functions as a world map with various nodes that represent locations in specific points in time. Each location you visit has a number of time gates, for which you need an "artefact" to unlock each one. Some artefacts are obtained through the story and integral to the main quest, while others you may stumble upon whilst exploring that unlock areas off the beaten path. Once you've unlocked a time gate, the node it links to on the Historia Crux will be open for to you explore henceforth. As you unlock more and more locations (some of which will be the same location at different points in time) the possibilities for exploration increase dramatically. One of the best parts of the Historia Crux structure is that it allows the player to selectively go back to key moments in the game and replay them to see different outcomes. Once you've obtained the Gate Seal for a particular node on the map, you can "close" the gate, resetting the time to when you first stepped through it, so you can experience that portion of the story again, and as many times as you'd like. And since the story does contain branching decisions here and there, being able to reset individual story moments makes it easy to see all possibilities without actually having to replay the entire game multiple times. You might have guessed where this is going. Yes, there are multiple endings to Final Fantasy XIII-2 (quite a few, in fact). But the genius bit is that since you don't have to play the game in a linear fashion, you can see many endings without ever having to start over from scratch. It’s like a Choose Your Own Adventure book in a way – if you get to one dead end, you can simply turn back the page to where the story branched off and keep going down a different path. Don't like the way a scene played out the first time? You can easily go back and play it again without any fuss or penalty. This system thoroughly respects the player's time by not wasting any of it. An absolutely fantastic save system makes this all work beautifully, too. Not only can you save at any time (no save points! ), but you can also teleport back to the Historia Crux world map at any time and your progress in your current location will be automatically saved. This way, you can have multiple quests going all over the place, jumping from place to place and time to time, with your progress saved in every individual location. Say you're in the city, exploring one of Academia's many flashy alleyways and suddenly you remember where you might have seen a particular flower that some NPC asked for in a side quest. You can pop back to the Crux in a jiffy, skip over to Bresha Ruins, grab the item and complete the quest, then teleport back and return to exactly where you left off in Academia. The save system is so fluid and flexible that you never need to worry about losing your progress at any point at all, and the freedom to jump across time and space so easily feels delightfully efficient. Speaking of locations, we were nervous going into the sequel that many of the environments would be recycled from XIII, but XIII-2 features a surprisingly large array of new locales. And the places that are recycled don't feel like they've been thrown in lazily, since it makes sense story-wise that we'd have to revisit some old places, since it's still the same world after all. Many of the old locations have been totally transformed too, and the environments constantly play a silent part in telling the story through how they've changed in different time periods (and across alternate timelines). Description If FFXIII was an exercise in form over function, its successor is exercise in working with what you've got and doing a brilliant job of it (for the most part). It does some things better than its predecessor, some things worse, but what's most impressive about Final Fantasy XIII-2 is how much feels new and different, despite sharing most of its guts with XIII.